Having 18 teams is quite a successful tournament; it’s a healthy amount of teams. 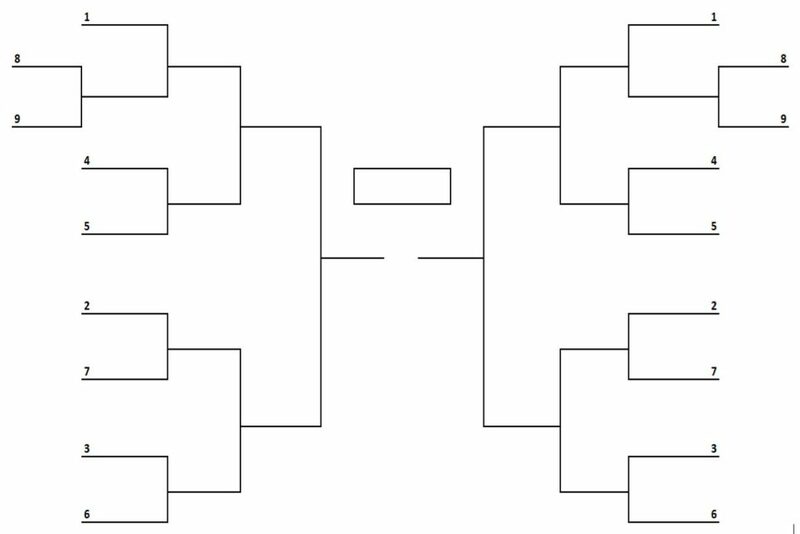 Obviously you’re now here for a 18-team bracket for your upcoming tournament. Our eighteen team printable tournement brackets were created with a single-elimination and five full stages of exciting games that will come down to one champion. Our blank tournament brackets are not just printable, but come in blind draw and seeded; the latter of which is fillable and customizable. 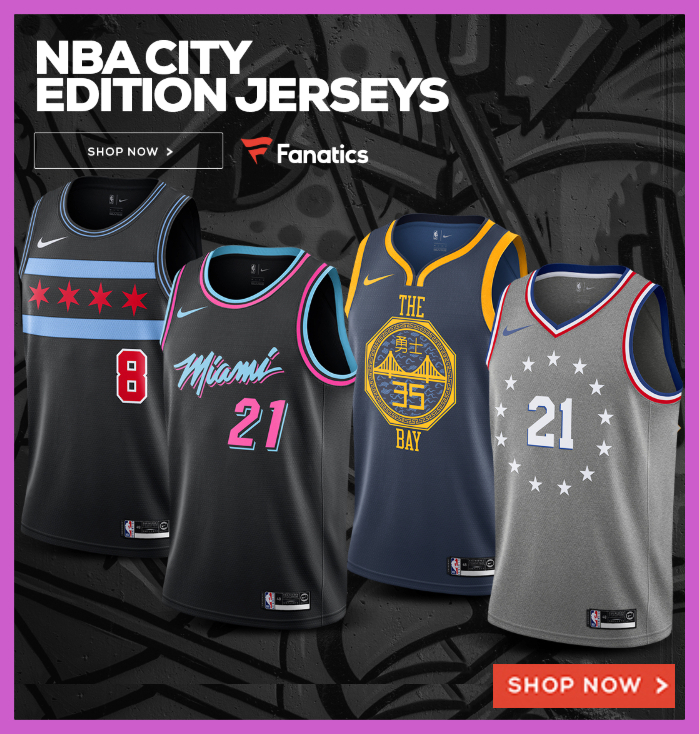 It might be because you chose 18 teams because it was a nice even number or maybe that’s how many teams signed up. A 18 team bracket isn’t the best number of teams for tournament management, but it’s very much doable. As we’ve chatted about in other team brackets, we recommend limiting team registrations to 4, 8, 16, 32, or 64 teams. With these number of teams there’s no play-in games; every team has an opponent in the first round. In a 18-team tournament field, we start with the four lowest seeds on either side of the bracket. The winners of which will play the top two seeds. From there, the bracket progresses smoothly. How do I Seed 18 Team Tournament? Our printable 18-team, single-elimination bracket allows you the choice to view and print the bracket in the format to populate team names, seeds or more with your writing utensil preference. 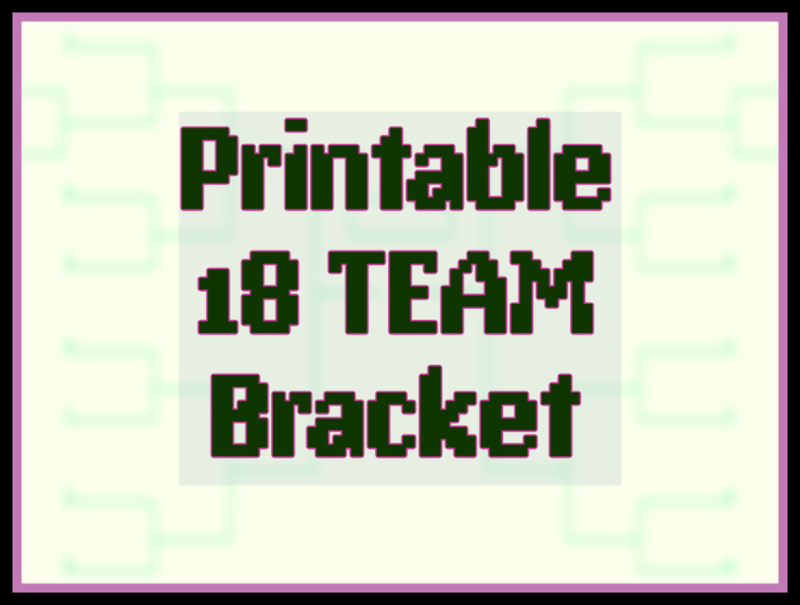 To download our printable blank 18-team bracket in PDF, click. If it’s PDF you’re jonesing for then first download the most-updated version of Adobe Reader so you can view and print 18-team bracket. If you’d like to edit and customize the bracket, like adding in seeds, teams or logos, dates, times, and locations then click to download our Word doc version. That way, you can edit and populate your tournament’s custom information. No matter what kind of sport tournament you’re running, our printable brackets work with every team sport under the sun. Here’s a sampling of our printable sports brackets we have. As long as the bracket is a single-elimination tournament, any of the above brackets should work. Here’s a list of team sports that our printable brackets will work with the following team sports football, baseball, soccer, basketball, lacrosse, hockey, and rugby The brackets even work for individual sports like tennis.